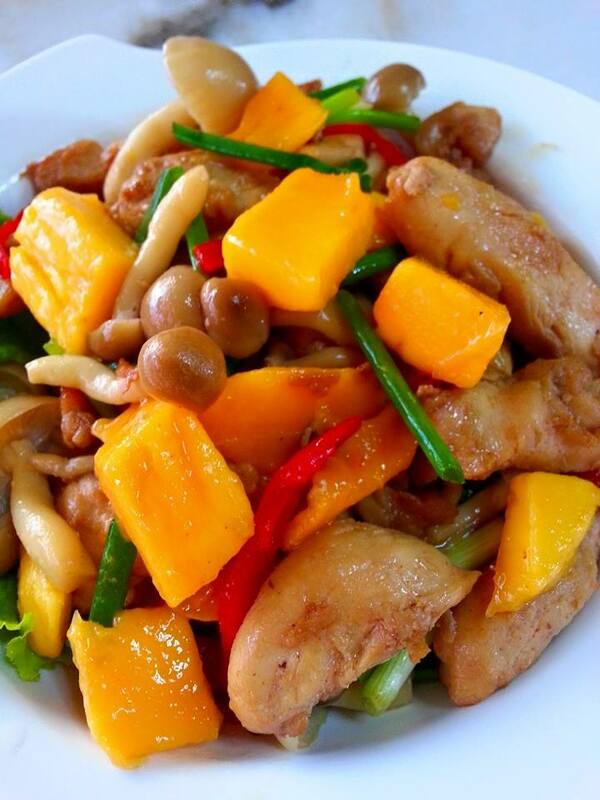 Marinate chicken with some light sauce, pepper n sesame oil, chinese cooking wine and corn flour. Leave in the fridge for few hours. Heat up pan, drizzle a bit of oil and sauté the chicken strips lightly until slightly charred. Add in the bunashimeji. Mix well with chicken. Then add in mangoes cubes. Don't stir too hard. Just fry up a little so the mangoes can release their juices. Add cut chilli n spring onion and sauté again.